Gary Arnaud obituary. Carnes Funeral Home. Gary Arnaud, 58, of League City, Texas, formally of Lake Charles, La., died suddenly of natural causes on Monday, March 23, 2015. Gary was born on November 18, 1956, for John and Lula Arnaud of Eunice, La, at that time. As a young boy he was very involved in church activities, sports, and Boy Scouts. In 1964 the family moved from his boyhood home of Eunice to Lafayette, La. After two years, for his dad's job, he moved to Lake Charles, La. In 1975 he graduated from LaGrange High School, attended McNeese University in Lake Charles, then went on to USL in Lafayette for architecture and business. He married and during a span of 10 years had two children. He worked for many years at Cities Service and while attending Trinity Baptist Church played and coached baseball in his off time. He made a move to League City, Texas several years ago for employment and has worked and built a life in that community. He was currently employed for Audubon Engineering. 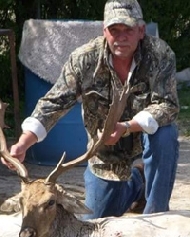 His hobbies included hunting, cooking, and spending time with friends and family. He was a skilled craftsman who loved building and woodwork. He was a lover of the beach and Jimmy Buffett. He was a true believer in “paying it forward” and helped out anyone he could. He was a great man; always smiling and telling long stories. Gary had a huge heart and will be missed by many. Those left to honor and cherish his memory are his daughter, Monique Arnaud-Derouen and her husband, Brady of Sulphur, LA ; his son, Derrick Chance Arnaud, of League City, Tx. ; two grandchildren, Skyler and Jacob Warren of Sulphur, La. ; a sister, Sheila Arnaud Keyes and her husband Eddy of Spring Hill, Tn. ; two nephews, Jody and Nick Spell of Westlake, La. ; an aunt, Mercedes Fontenot of Lake Charles, La. ; his Nan, Myrt Frey, of Eunice, La. and several cousins on both sides of family. There will be a life celebration held at Prien Lake Park in Lake Charles, La beginning at 5pm on Monday April 6, 2014. Pending memorial will also be held in League City, Tx. at a later date. In lieu of flowers the family asks that donations be made to the Louisiana Methodist Childrens Home in Sulphur, La @ www.lmch.org.